Partly Furnished. Well maintained 4 room apartment (113 m2). 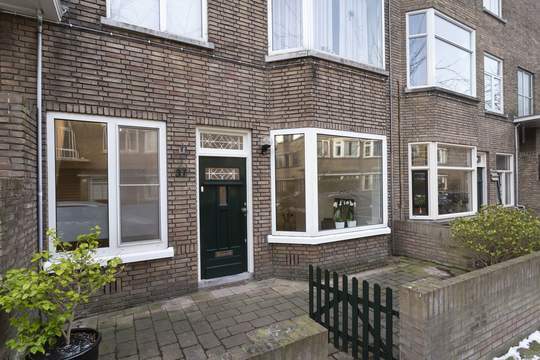 Perfectly located in the very popular and elegant Statenkwartier. New modern fully equipped kitchen. Three bedrooms. Several balconies. Near shopping street, the beach and International Organisations and Schools. The apartment is situated in a pleasant, quiet green lane on walking distance from the famous shopping street Frederik Hendriklaan (known as “the Fred”) with lovely speciality & deli shops and lunch & dinner spots All is within walking distance. The beach (Scheveningen) and several parks and museums are nearby. Public transportation is just a few minutes’ walk away. 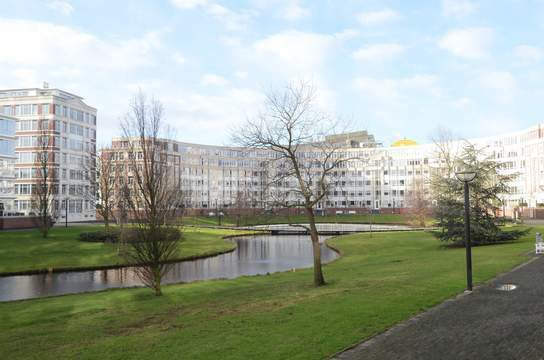 Easy access to the town centre and the main motorways to Amsterdam, Utrecht and Rotterdam. Excellent location close to International Organisations (such as Europol, ICTY, OPCW and soon Eurojust) and schools (French, German and European School The Hague), and various Embassies. Entrance, elevator to 2nd floor. Entree in the apartment. Guest toilet. Wide hall to sunny south facing spacious living room with wooden floor electric fire place, a small balcony on the front and access to a bigger balcony on the side. New modern light fully equipped kitchen (dishwasher, oven, microwave, fridge and freezer, 4 pits stove and good storage placements). Master bedroom with access to a 3rd balcony. Completely new modern royal bathroom with bath, shower and double sink. 2nd bedroom, 3rd bedroom with access to the generous balcony on the side. Parking place in underground garage and separate storage room.